Children's Day is here !! 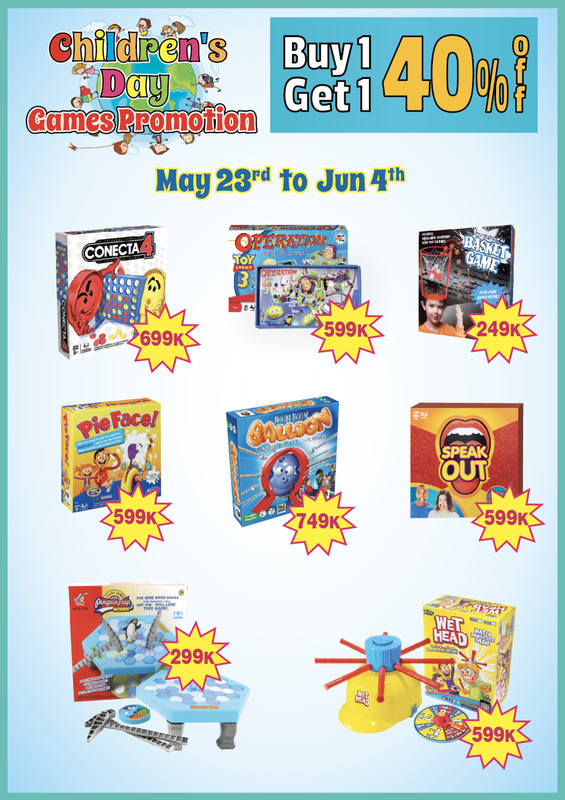 Come to KEPI and enjoy our AMAZING Mix 'n' Match Games Promotion. Buy one Get one 40% OFF on Selected Games! !